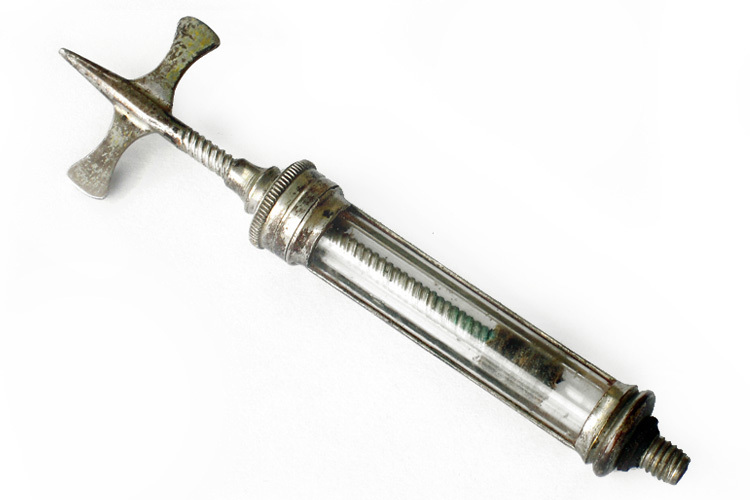 Hard to find antique silver mignon model of Pravaz syringe marked "Istitutes de Chirurgie L. Mathieu". 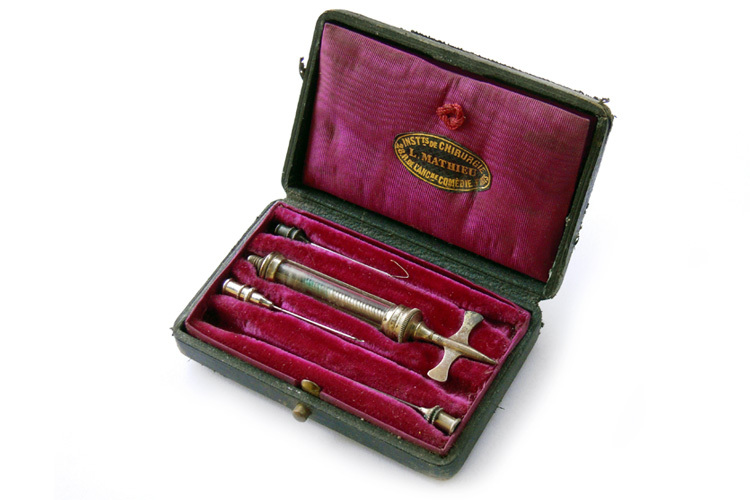 Fitted in the original wooden leather covered case with purple silk & velvet lining, cleaning wires stored in the lid. The needles are only for exposition not original screwed needle. 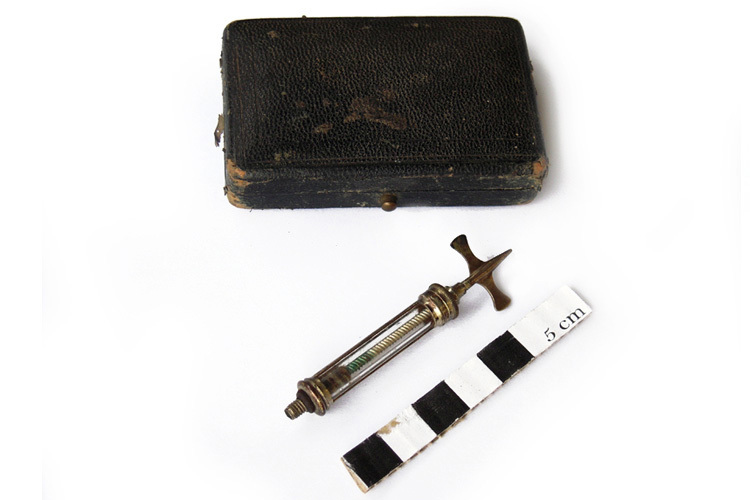 The quantity of injected liquid was regolated by a screw butterfly pluger, Dated 1860 c.ca. Case size 7,5x5x2 cm.